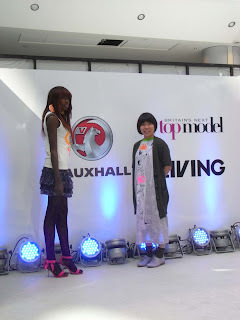 migh-T took part of Vauxhall Style exclusive show today with the other 8 designers at Westfield shopping centre. In the audition to select the model for the face of Tigra, all the models wore the Uniform vests which I designed for this event. All the girls look very confident and having fun in migh-T vests! The design idea was a 3D smiley face in Vauxhall theme colours,very bright pink and yellow. I was pleased to see the happy faces in happy face T! 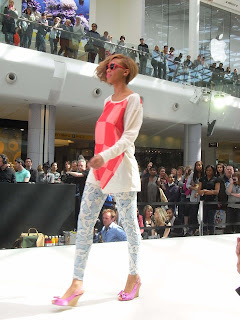 migh-T has been selected to be on the catwalk at Britain's Next Top Model event starting this Saturday. Vauxhall Style will have a tour in 4 different cities in England. I have also designed the uniform T-shirts models are going to wear in the show! Come to Westfield this Saturday. Now, migh-T is working with Felicities PR in Shoreditch. Please contact Felicities for all press enquiries. 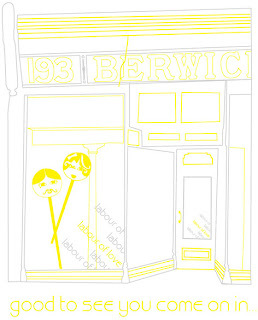 A unique boutique stocking exclusive designers, beautiful things and general loveliness....! 09ss collection is already in the shop and 09aw is on the way for August!